When it comes putting some life back to your soggy and lifeless skin, the first thing you can do is to wash it thoroughly with fresh cold water. Do not make use of a cleanser at this time. Pat your skin dry followed by the application of an astringent. Finally, apply a mud or sandalwood pack and rinse after 10 to 15 minutes. It will close your skin pores, reduce its oiliness, and give it a fresh as well as light feel instantly. 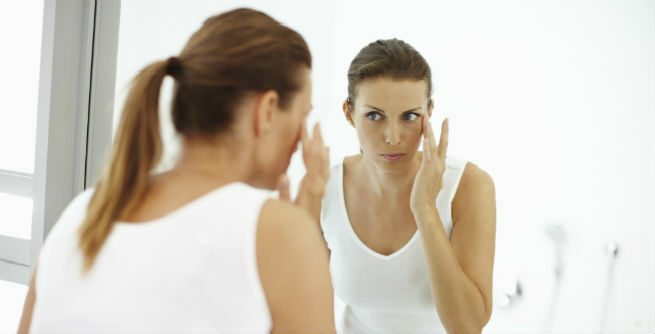 An uneven skin tone may be the result of a number of skin problems, such as rosacea, sun burn, etc., and no matter how intense the effects are, we absolutely hate the issue. Well, you can get rid of the redness by applying some aloe vera gel to the affected areas. It not only soothes the inflammation, but also gives an instant relief from the reddishness. For dealing with sun burns, apply a primer or concealer and follow it by a good quality moisturizer that comes with sun protection factor (SPF). These would smooth out your skin tone immediately. A skin with ugly patches and blemishes here and there is totally unattractive. Make use of a concealer pen to hide all these unwanted marks. After that, apply a water-based foundation thoroughly. It will give you blemish-free look in minutes. If you have a dry skin, you simply can’t escape frequent damages and irritation. However, you can dip a cotton ball into cold whole milk and wipe your face comprehensively with it for a quick fix. The fat content of the milk will remove dryness and itchiness of your skin efficiently. A pesky zit popped on the skin overnight can be dried as well as healed significantly by applying a skincare formula containing benzoyl peroxide, salicylic acid or biosuplhur. All these chemicals have anti-microbial and anti-inflammatory properties, which help in killing bacteria as well as soothing irritation, thereby giving us a clean and clear skin. Last but not the least; get rid of those ugly under-eye circles with the help of green tea bags. All you need to do is to steep a couple of green tea bags into fresh cold water for some time and place them on your eyes. It plays a key role in rectifying the pH balance of our skin, which eliminates dark circles from the skin around our eyes right away.